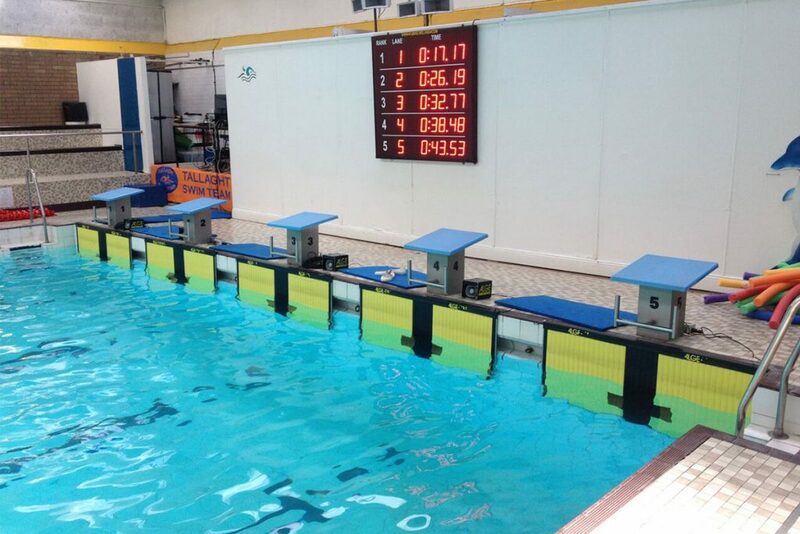 Timing Ireland offers the complete technical equipment for carrying out swimming competitions from little local events to major meetings & training. Timing Ireland offers the ideal timing devices. Many years of experience in timing the most different sports pay off. 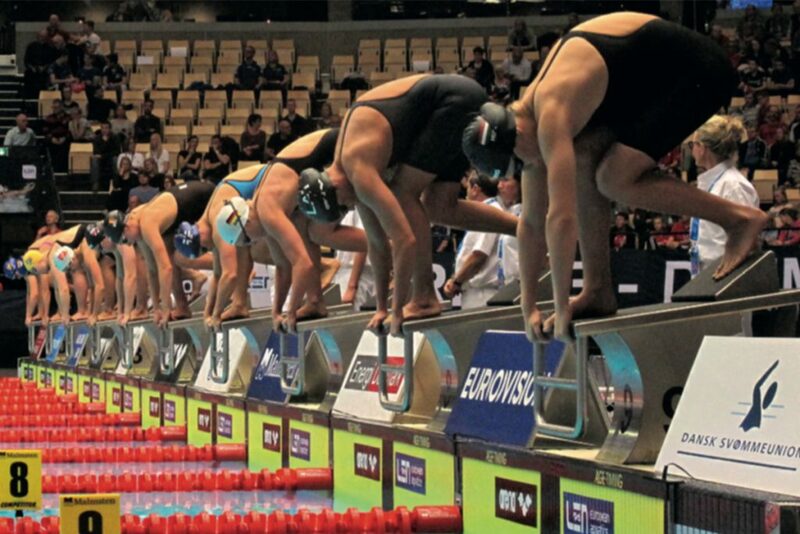 Timing Ireland has solutions for swimming that will inspire you. 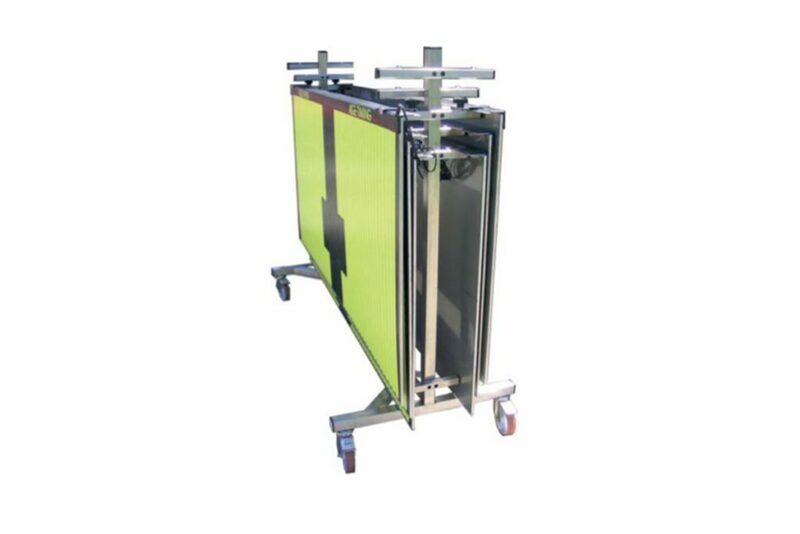 The rugged design and the best material guarantee a long lasting timing without problems using the Timing Ireland system. 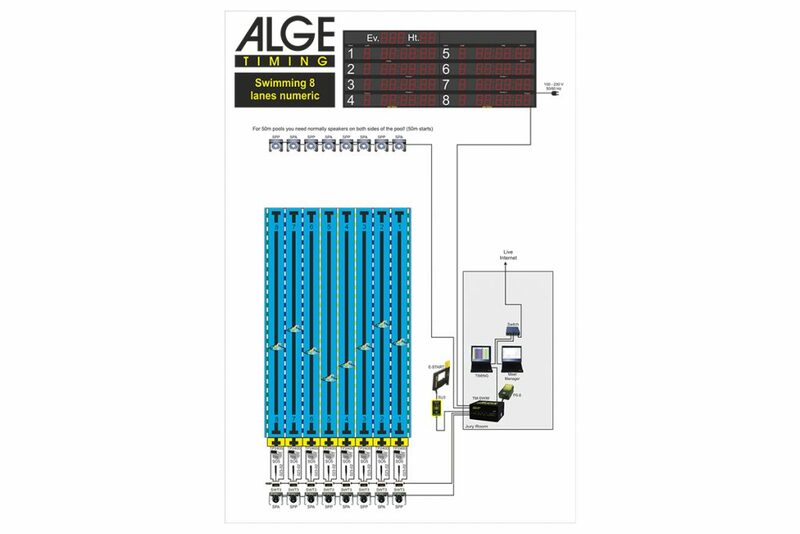 On the following pages you find diagrams showing a semi-automatic timing system and a a fully automatic swimming system. 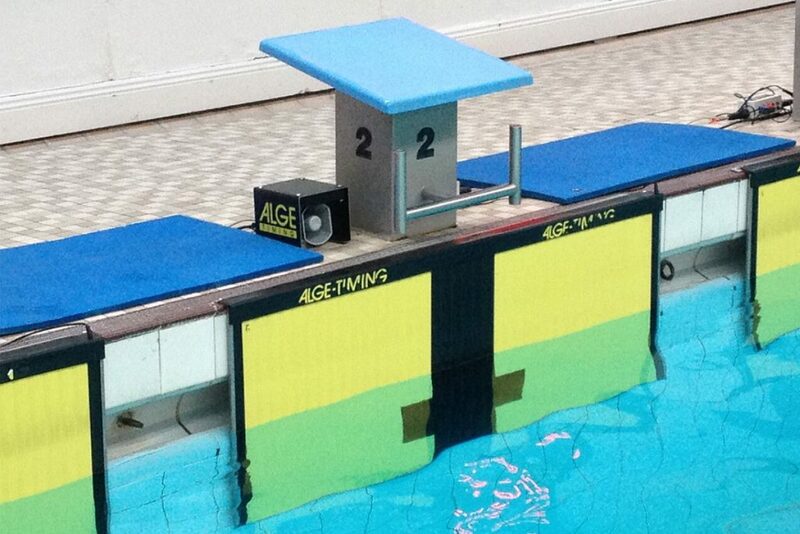 The starting block is made of easy- care plastic and has integrated false start detection for relay starts and an adjustable footrest. 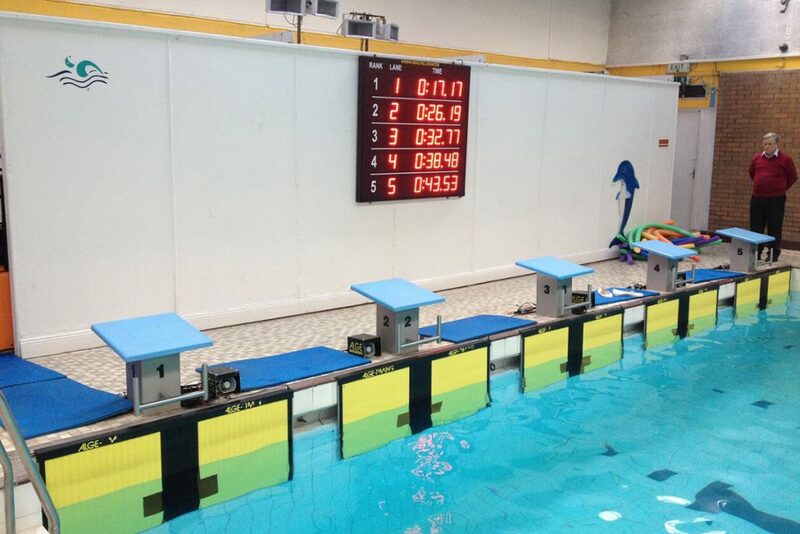 With the block, you can check that the swimmer does not start before the other touches the touchpad in a relay race. In conjunction with the latest equipment, it is possible to measure the duration of the jumping. 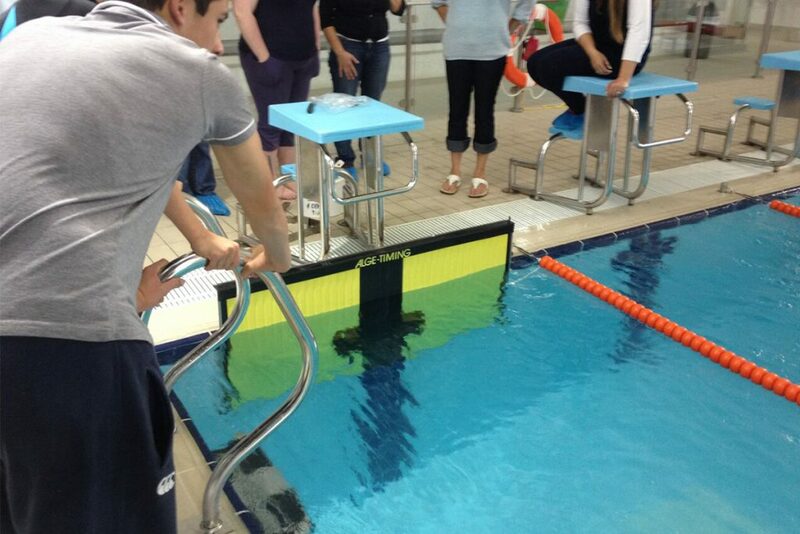 The touchpad is one of the key components for a successful swimming timing system. 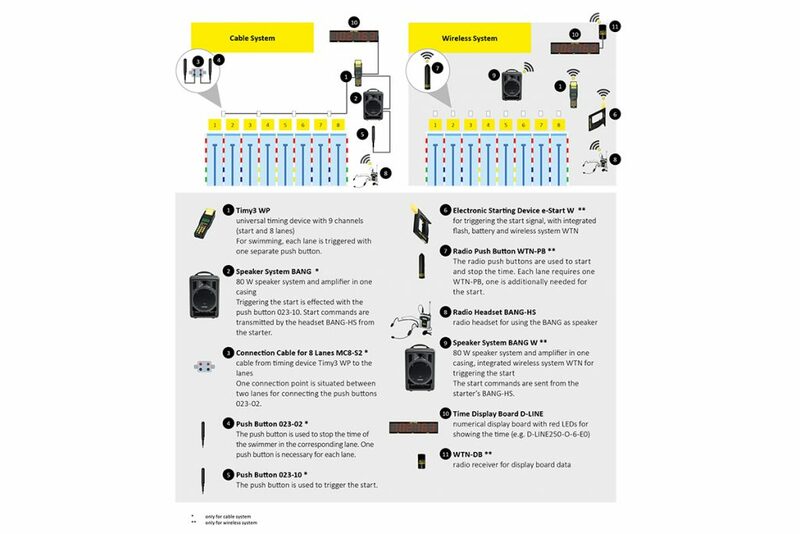 The closed construction of the stainless steel frame makes it rugged, and protects the integrated tape switches. 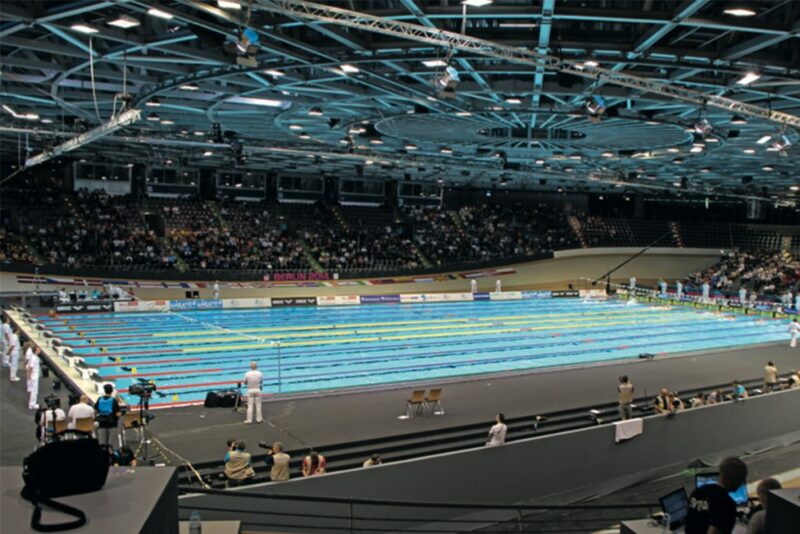 The stainless steel is of best quality and made for the use of swimming pools were you have aggressive chlorine level. Four tape switches that cover the touchpad over the full length make sure that wherever the swimmer touches, the touchpad is sensitive for timing impulse at that spot. 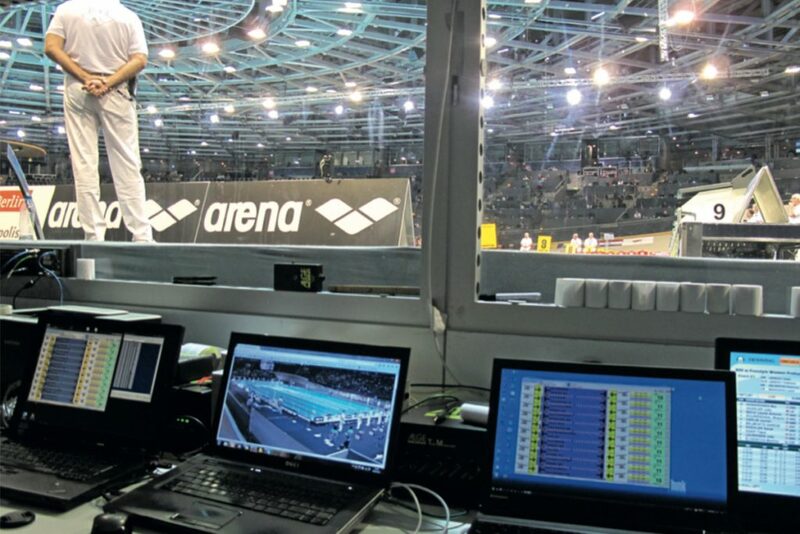 It conforms to the rules of FINA, SSCH, AAU, NCAA & LEN. 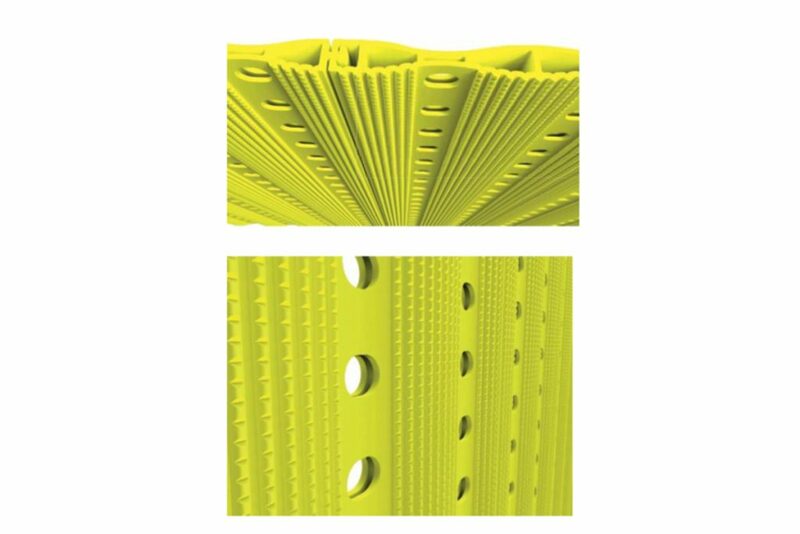 The innovative and patented touchpad models have a surface with lamellas and an exemplary grip for the swimmers. Many experiments and tests were made with different materials to reach this goal. 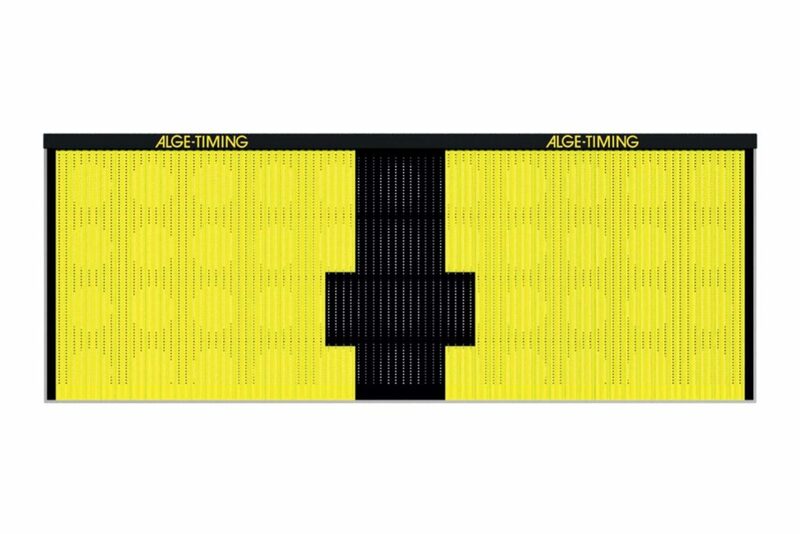 A lamella designed by Alge-Timing and produced for Alge with a special injection modelling machine has small bumps to guarantee the optimal grip. 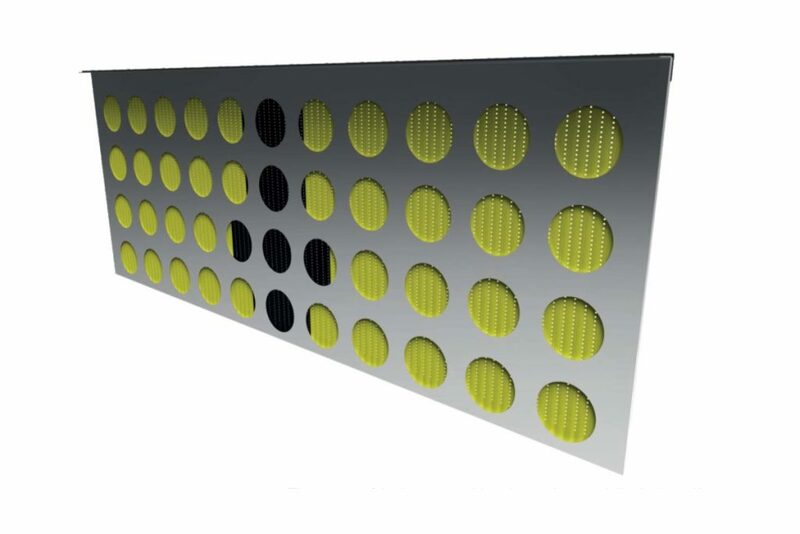 Furthermore, each touchpad has hundreds of small holes that allow water to float through it. 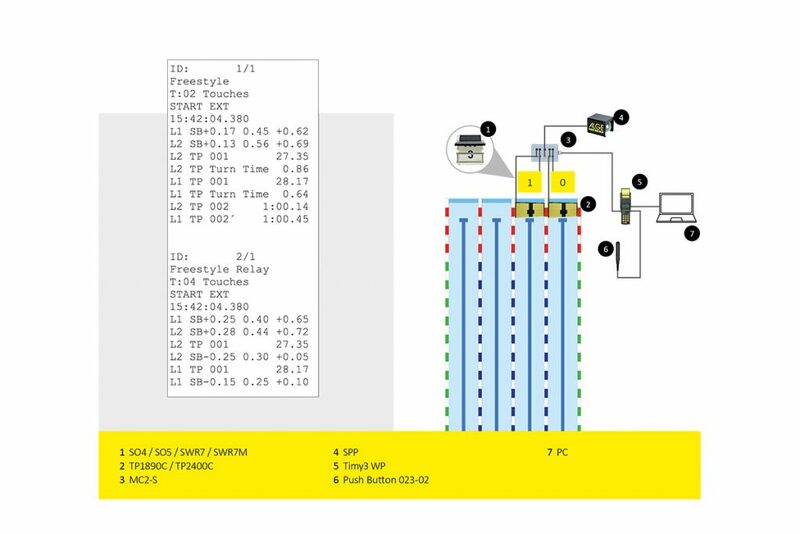 For the swimmer, this means fair water flow conditions in overflow swimming pools for all lanes. By using new materials and a stainless steel case with holes with compete touchpad is about 30% lighter than previous touchpad produced by Alge-Timing.